Marks Coles looks at the life of Tottenham Hotspur footballer, Danny Rose who has made headlines for speaking out about the racism he has endured on the pitch. 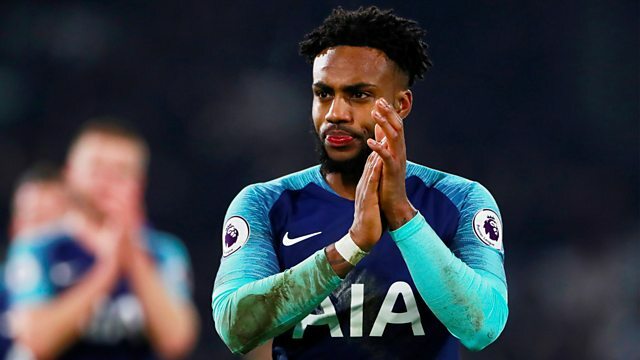 The England and Tottenham Hotspur defender Danny Rose says he’s had enough of being on the end of racist abuse at matches and “can’t wait to leave football behind”. On Profile this week, Mark Coles tries to find out why. Friends and colleagues talk about the footballer’s formative years, his remarkable premiership debut against arch-rivals Arsenal and how a knee injury sparked depression and introspection. But it’s racism that dominates his story. A black player representing England in international matches, he’s been subjected to racist chanting and abuse. After last month’s Euro 2020 qualifier in Montenegro, he said , enough is enough… it’s time for football’s governing bodies to stamp it out.